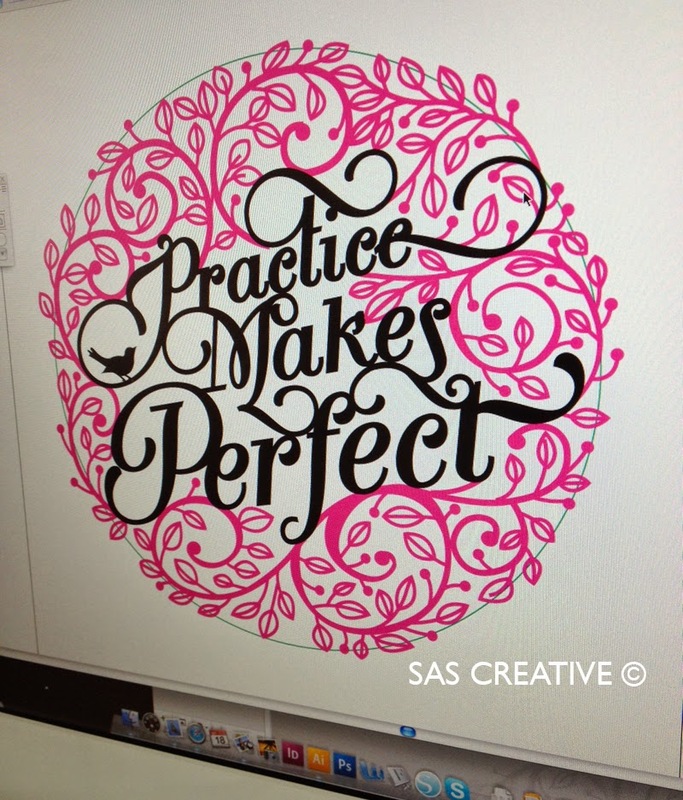 I've designed a new template with the phase 'Practice Makes Perfect' to illustrate how I go about creating each design. I've had requests to give some tips on cutting and also to show my process. 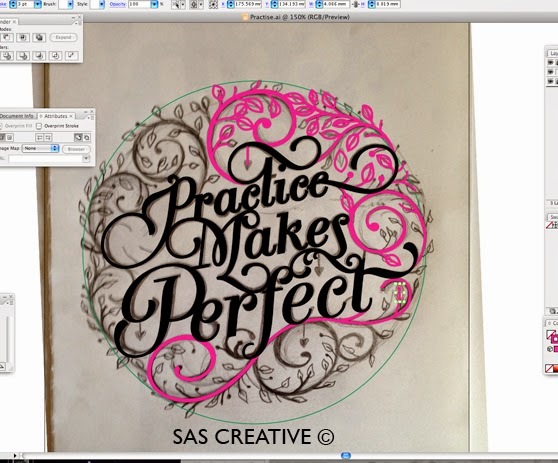 Most designs generally start with setting out the type on the middle of the page. 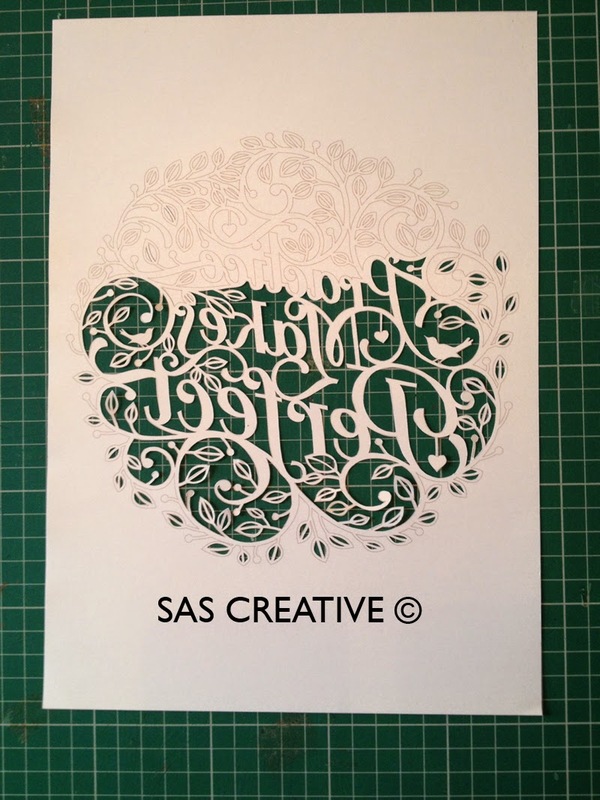 I usually choose a typeface I'm particularly passionate about at the time (I love curly swirly typefaces and always looking to add to my collection!) So at the moment its Breathe Pro (available from myfonts.com). 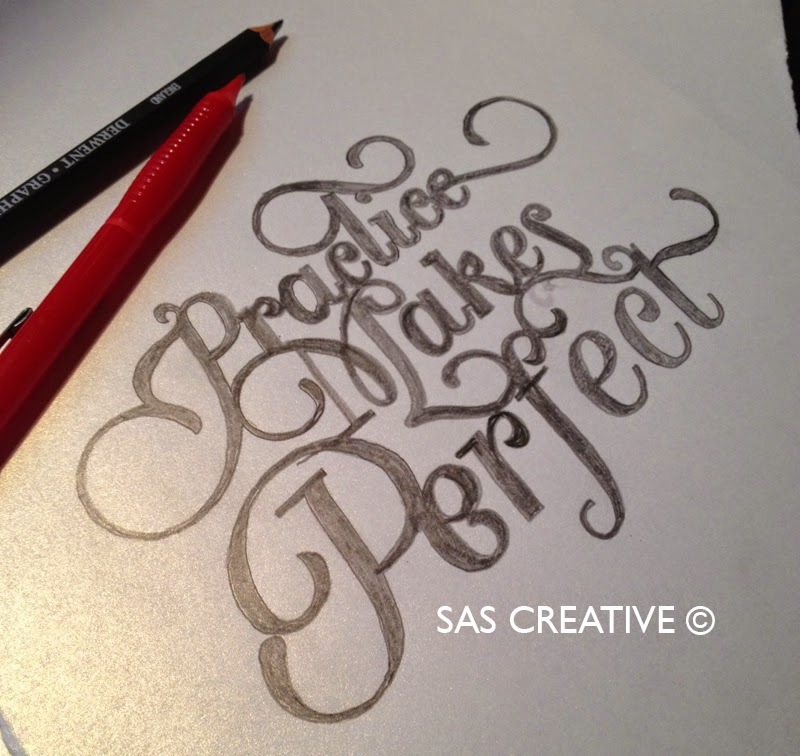 Then I will start designing around the type. I normally have the design in my head but sometimes I just let the pencil flow (yeah ok that sounds a bit daft but really it does work!). Changing the swirly endings to the letters helps to join up the letters that seem to float and aren't connected in anyway, but also just adding a simple 'bridge' helps to keep everything together. 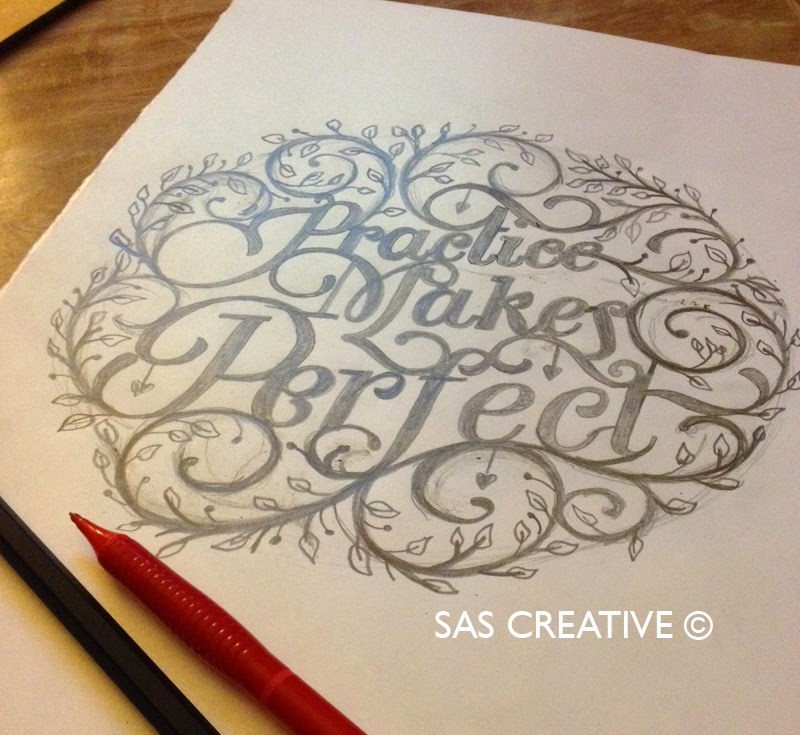 After spending about an hour with the pencil I will then scan it in and start tracing the design in Adobe Illustrator. Here I can control the line thickness, add my signature birds and manipulate the type so any final pieces join up where needed. Using the path finder tools and converting all type to outlines I will then join everything together so I have an outline to cut from. 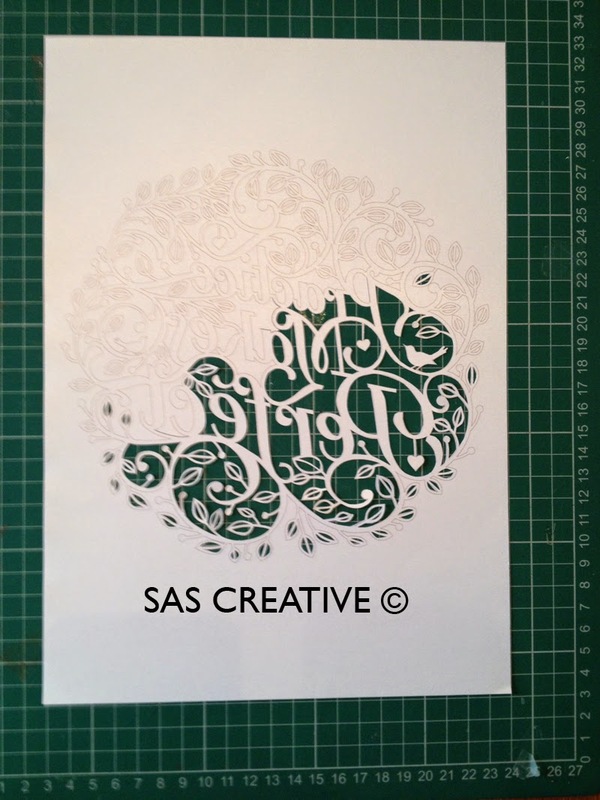 This can then be converted into a file for the Silhouette Cameo or printed to cut by hand. In this tutorial I will be showing you how to cut it by hand. 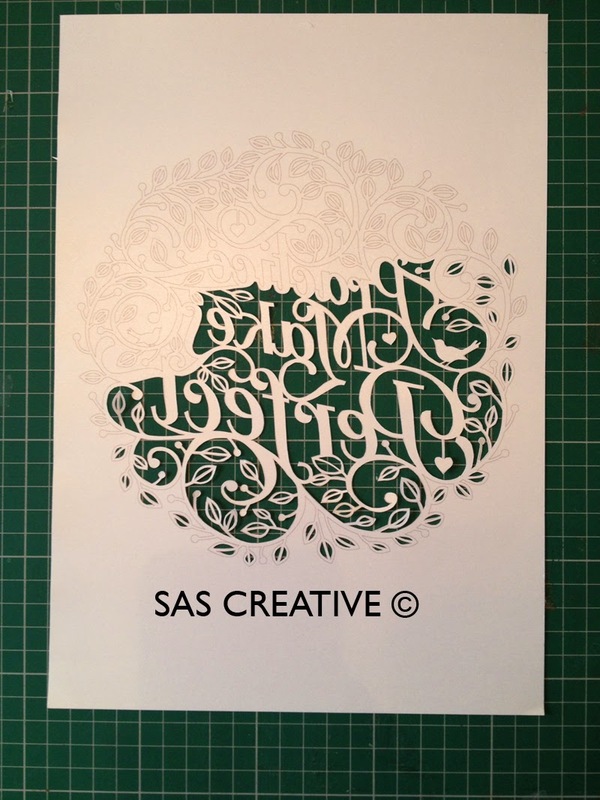 Once printed out on paper of your choice (I use 120gsm thickness) you can start cutting it! I use a Swann Morton No.3 handle and No.11 blade (sometimes 10a). 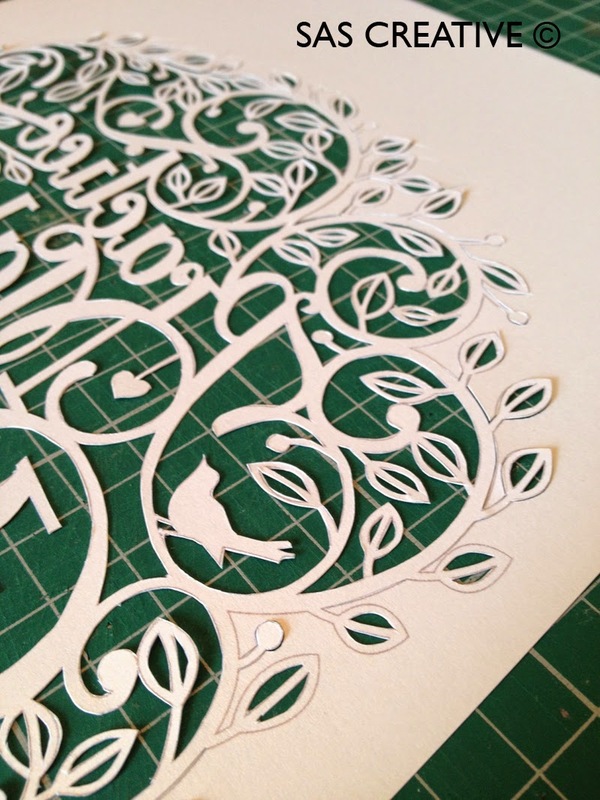 Cutting the small leaves first and slowly making your way round the design so the final piece to cut is the outline. Here are a few progress shots. I hope this makes sense to all my readers. I have to say its hard writing down your own thought process and making it coherent enough for people to follow. I can't really advise of 'how' you design, that bit you have to figure out yourself. All I say is don't copy others but take inspiration from their work, don't use elements from other designs but draw your own. 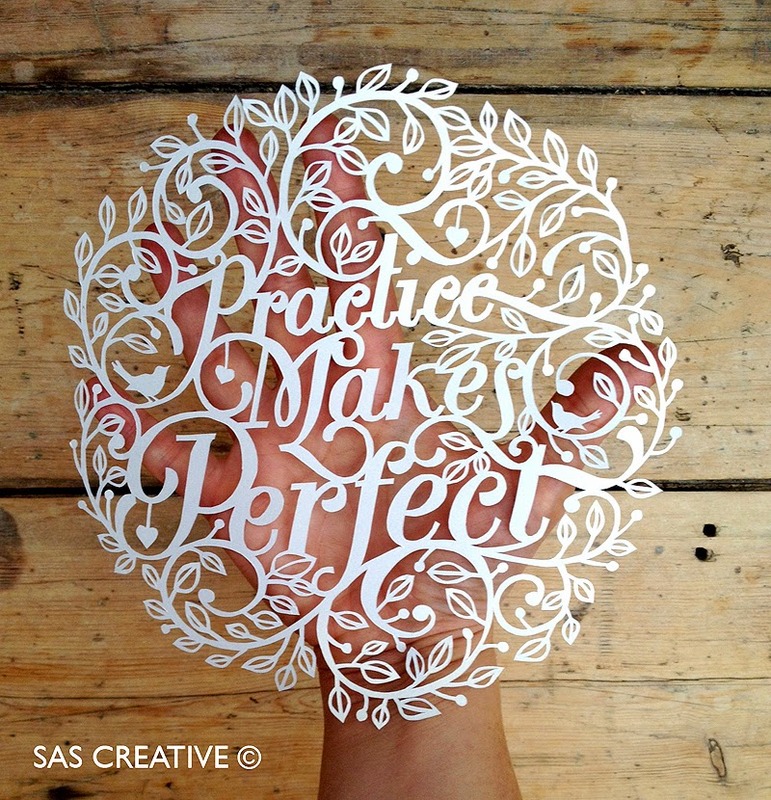 Inspiration is around us everywhere we look, not just in other papercut designs. Enjoy. 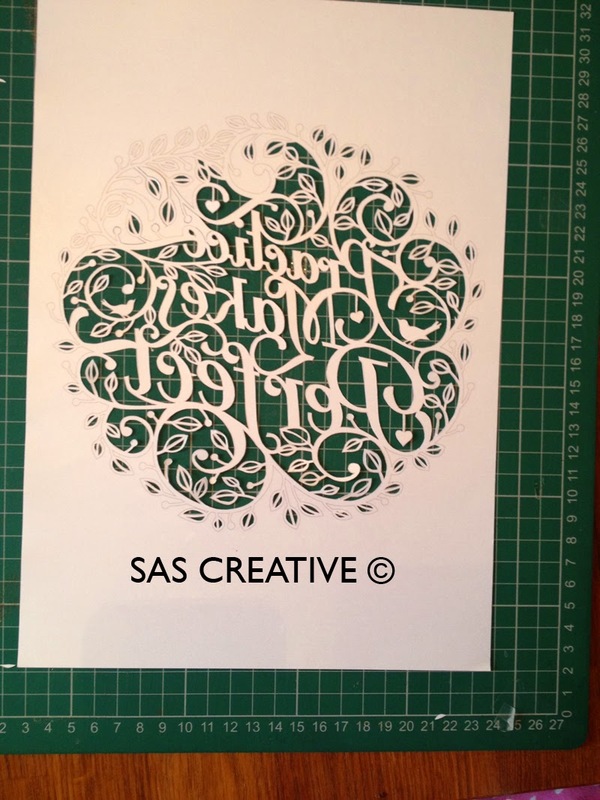 This design will be available to purchase soon from my etsy shop if you fancy giving this craft ago. It will also be available as a .svg file for all those who love working with the Cameo. 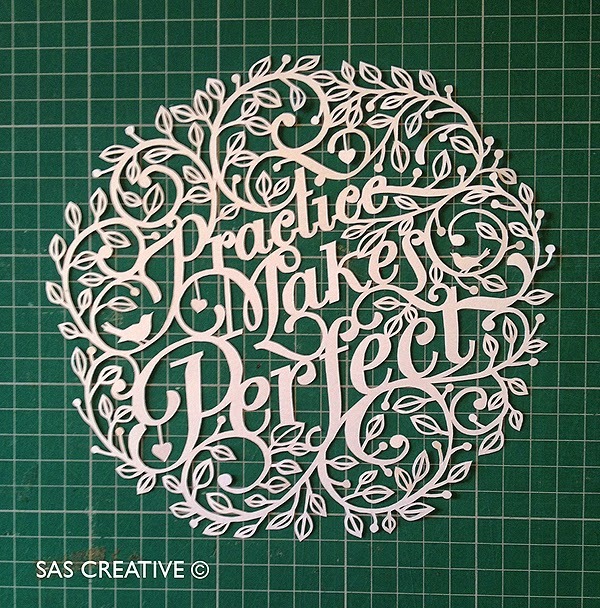 I'll do another tutorial soon on that process of cutting! Absolutely gorgeous. A very talented lady.